Even though Minecraft has been and gone for many of use, the other day I picked it up again and it hit me just how solid the game is. Even though people have played the hell out of it, it’s still in my eyes adult lego and for that reason I love it deeply. Some are really similar, some are a little different and some are completely different with that same base-build feeling, either way I hope you enjoy. We all wanted this game as kids, am I right? …This really was the stuff dreams were made of. Sadly when this game first come out it was like a drug, but not a good drug a bad drug, it was addictive in all the wrong ways… Some would call it a grind. But after lots of complaining and thousands of hours of peoples lives wasted the game upped it’s well, game! And it’s now become one of the most fun Base-Building games around. There are still glitches, it can still be annoying, but if you’ve got some buddies and some time then you just can’t beat a little ark to fill that Minecraft urge. You can get it here for a massive discount and you can see more games similar to ark here. …So what is The Forest? Basically, your plane crashes, your kid gets taken by Canaballs and your job is to find him while building a base and traps/weapons to protect you from the tribe’s people who’re mentally insane. Then just get it and if you already have it, check out these alternatives. People go NUTS for unturned. It’s a FREE Minecraft like alike with completely different mechanics and did I mention… IT HAS ZOMBIES. Now it’s pretty fun, but ONLY if you have friends, as in my case I don’t… So playing this game was a little boring, but just look at the comments, reviews and people shouting out this game left right and center, I mean people LOVE it! Want Minecraft? Don’t want to pay for it? Get Terasology. It’s pretty much the same game with a few different adjustments, but it’s completely FREE which makes it raver tempting. I’m yet to play it, I’ve just downloaded it and am about to give it a try, but after watching a few videos and researching it I get the feeling that it’s basically just Minecraft, but FREE which I mean who can complain about? I actually wish Blockstorm was more popular as it’s pretty addictive and definitely a step in the right direction. To sum it up it’s a Minecraft FPS shooter, with guns, block placing and block destroying. It’s basically Counter Strick if counter strick was Minecraft. See why I wish it was more popular? You can also create your own maps, which is SO AWESOME! Could it be the best game on this list? Rust (games like rust) is the game that filled my Minecraft void. It’s one of the most fun base-builders and opens up a whole new world of creativity, something I always want in games. Don’t get me wrong, the chances are you’ll die every time you join the game… I mean that seriously. But once you get the hang of it, you understand base building and you loot, something will change… Instead of being the hunted you’ll become the hunter and that’s one of the most exciting experiences I’ve felt inside a game. If you like open world games then check out that epic open world game list I created. How do I explain murder miners? Well it’s graphically alike minecraft with the same styles yet your job is to kill… Lot of kill. It’s got a Halo-inspired gameplay which makes for fun and a few awesome modes including infection where one person starts as a zombie and has to infect others (really awesome). You can buy it on Steam for a dollar or on Xbox live. One of the best epic games I’ve played. It’s am ix between Minecraft, an FPS like Team fortress and a castle defense game. You can also create and lay down blocks, bombs, turrets, bounce pads, poison traps and hundreds more. You can even create your own maps and play with your friends. All this and it’s completely FREE. Back when Minecraft wasn’t available for Xbox I got myself a copy of Fortress Craft and was amazed at how awesome it was. Recently with the Evolved addition it’s taken a turn and become a really different version of Minecraft… One that I truly love. With tower defense, base building, looting and exploring this game has it all and for the cheap price of $5 you can’t go wrong, can you? This game is no longer a Minecraft game, it’s much more than that, it has more of a tycoon or Factorio feel to it. Something that I think adds to its addiction. Sadly not to many people currently play it, but that doesn’t mean it should go ignored. This is another game that has had it’s up’s and downs but has got itself sorted and done well in creating awesome. 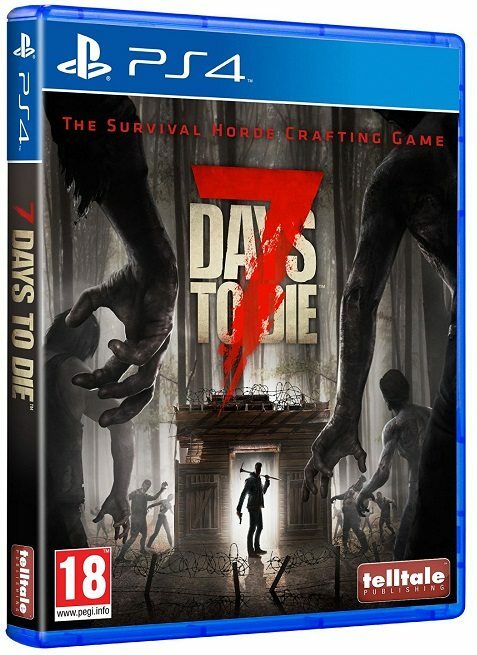 It’s pretty much a zombie survival with killer animals, base building and lots of hiding. You can craft and play with friends and it still has a solid community. It’s nothing like rust in terms of fans, but there are elements that really remind me of a mix of Minecraft, rust and 7 days which is lots of fun. It’s still in alpha which means the reviews go up and down like a yo-yo, but it’s worth checking out. One of the best zombie games around? Now at the start I really didn’t get on with 7 days to die, but recently with all the updates they’ve made it’s starting to become a pure pleasure to play. That being said I still believe you’ve got to have a few mates who have the game to make it fun, but once you have that it really does become a seriously fun game of building, fighting and surviving, one I highly recommend. If you like zombie games you should check out this amazing list. Similar to Terraria and Minecraft but different in so many ways, this game has really taken the world by storm. It’s taken adventure, building, creating, exploring, survival and crafting and packaged it up in a different box that many of us have not experienced. The developers, listen, which is so important and so different, as many just ignore, block or fight feedback of their game. Now the playing style isn’t really my type, but it’s on the list due to the high reviews, feedback and what my friends have been saying. Want more Starbound? Check out this list of epic games like Starbound. A few years back I spent many hours playing this game thanks to a YouTuber called, Sips and his playthroughs. The game was fun, dark and creative. It was different to anything I played before and recently I picked it up and saw how much it’s evolved and as someone who’s not a massive fan of top-down games I can honestly say this is a game that’s well worth your time, especially if you like looting, survival and growing food. If you like survival games and don’t starve then you’ll love these games like don’t starve. Craft the world is an open world sandbox similar to Terraria, it’s got an epic community and is based around survival and crafting. I’m not a massive fan of 2d games, but with the right mindset, this can be lots of fun, especially the tower defense aspects that always get me excited.